The VCC_BATT pin of the Colibri modules is used to power the module's internal RTC. The VCC_BATT pin must be connected to a 3.3V source. 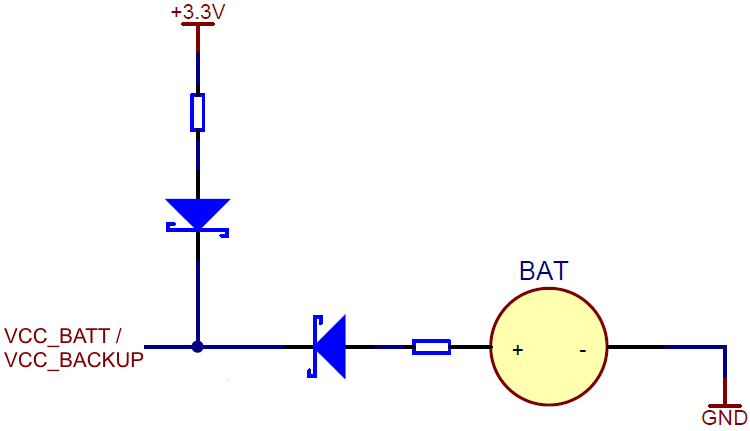 If voltage is not supplied by a battery, then the pin must be connected to another 3.3V source even if the RTC is not required. Note: This is in contrast to the Apalis modules which don't require power to be applied on the VCC_BACKUP pin if the RTC is not required. More information regarding the use of a backup battery is provided at the following page: Backup battery.